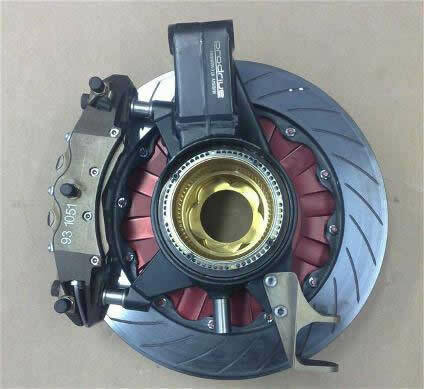 On automotive disc brakes, I thought they were a derivative from the aircraft industry, not sure. Back to water cooling, and feeling the misting total loss systems are not the point of this thread, I've already made my case in that direction. Last edited by j-c-c on Tue Jan 16, 2018 11:17 pm, edited 2 times in total. How would you make a sealed system? Use another medium rather then water, sodium? the snubbing they received from Enzo Ferrari himself. As the usual story has it, Enzo snubbed Ferruccio Lamborghini when he complained about a problem with his Ferrari. Lamborghini went back to his tractor factory and ordered his engineers to start designing a sports car. Lamborghini was a very good businessman and more importantly he was excellent at spotting top grade talented people. The group he put together to design, develop, prove and manufacture his cars included the likes of Bizzarrini, Dallara, Stanzani, Wallace, Balboni etc. He was not one to underestimate! Fortunately for us Enzo did just that! My dad told my about log trucks in Northern California having them in the 50's and early 60's but never in racecars. The water was sprayed on the drums and wasted rather recirculated. This could be applied in a race setting, I'm sure. 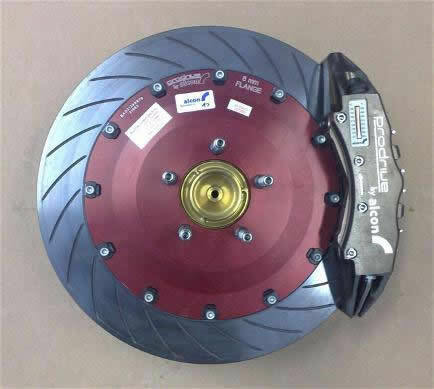 They talk about using a water-cooled disc brake design on racecars that was originally used for dynos. You've also got water-cooled calipers. These are made by Alcon for WRC. Interesting. I know they have been somewhat recirculating brake fluid through the calipers for quite awhile now. That is interesting, they are embracing a phase change of the coolant rather then fighting it, their design looks to have a fairly even coolant path, ie few hot spots. If it indeed it does work so well reaching temp to effect phase change, my guess they could also vary coolant operating pressure. Might also need to look for a cooler pad temp range. Bet a LSR car could use this help, where weight is often a plus, and stopping quickly without issue helps on making a quick return run when seeking a record. Can you repost the link? It is incomplete and won't work. 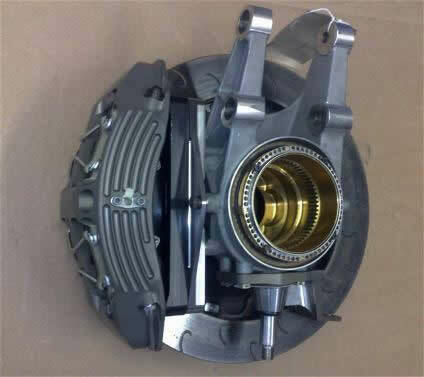 Oil cooled brakes are very common on heavy equipment and industrial vehicles. They are multi-disc, much like a Transmission clutch pack.